PC gaming is a huge global industry. Manufacturers fall over themselves to get products in front of consumers and consumers are constantly looking for the next piece of impressive hardware to take their gaming experience to the next level. If you are in the latter category, looking for something new, then this extensive set of PC gaming deals will definitely appeal to you. One of the wonderful things about these types of deals is that the products on offer are extremely diverse and generally cover all areas of the overarching genre. That means that you don’t just get one or two products to choose from which will only appeal to a small selection of people. 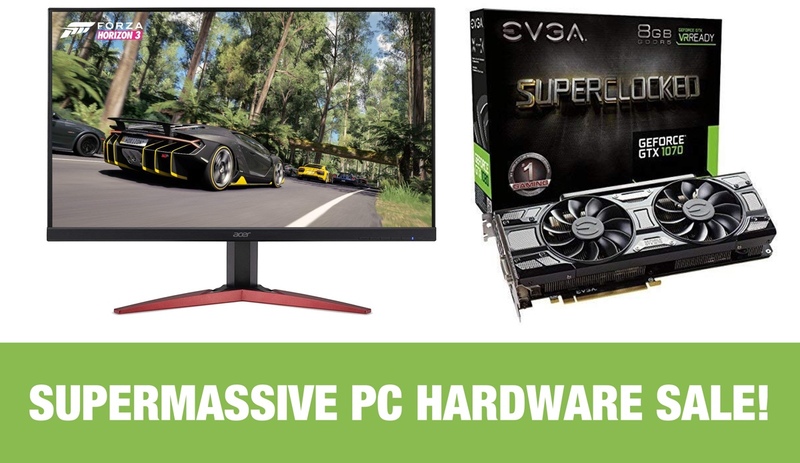 Instead, this deal includes a ton of different products to ensure that everyone with an interest in PC gaming gets a great opportunity to save some money and welcome some new kit into their life at the same time. As a quick overview, you can get your hands on gaming monitors, full powerful gaming laptops, high-performing internal solid-state-drives, and even cutting-edge power supplies for those individuals who are building their own gaming rigs. Check out the deals below, and remember to act quickly.